At work today, I heard that the highway nearby was entirely shut down and all the surface roads were clogged because of two huge accidents a mile apart. One involved three passengers who were transported to the hospital, and one involved a fatality. One of the accidents – I’m not sure which – involved children. As a result of these accidents, the highway was shut down for hours. I look at cemeteries differently now. I used to be distanced from them. A cemetery was a place I looked at and felt sorry for the poor people who were burying a loved one or visiting a gravesite. Now I feel compassion, empathy, and a kinship to the people who are there…which is entirely different than “feeling sorry for.” Now that person at the cemetery isn’t some disconnected entity…it’s me, visiting the graves of my son and his friend who were killed in the prime of their lives. The same is true for traffic accidents. Hearing about a car accident involving a fatality is no longer just a tragic news item for me. I physically feel empathy for those involved, because I know what it feels like to suddenly and tragically lose a dearly loved one in a car accident. I know accidents happen. They happen to people who don’t expect it to happen to them. They can happen to anyone and take away the life of someone you feel like you can’t live without, because it happened to us. Death comes and touches your life…and you are changed forever. My heartfelt prayers for those involved in these accidents today. The tragedy at the Boston Marathon really, really bothered me. Which, obviously, it should have. It was so awful, so senseless, so horrific. It made me mad, sad, full of grief for those affected, horrified, stupefied as to why anyone would do this to another person, and so many more emotions I can’t even describe. It brings tears to my eyes to think about it. It wasn’t just that it makes me so dang mad that someone would hurt innocent people who were just enjoying the day and celebrating with those who ran in this iconic event, which it did. It wasn’t just that it was so horrific and senseless, which it was. It wasn’t just that our daughter’s good friend lives in Boston and was running in the marathon on Monday and that we were concerned for her safety, which we were. (We couldn’t get ahold of her for a while and were really worried about her. She’s fine, having run the race in 3h 14m 07s, but we didn’t know where she was in relation to the blast zone and if she was safe.) This tragedy bothered me on so many levels that it took me a few days to sort it out. As I thought about it, I realized that it really touched a nerve of very personal vulnerability, one that goes back to Jason’s death. It made me feel so vulnerable. We tend to think that tragedy happens to “other people.” Until WE are those “other people” whose children die. Until WE are the family touched by tragedy. Until WE are that country where bombs go off in crowded places and kills and harms innocent bystanders. you find out about on television. you read about in the newspaper. your heart goes out to them. going about business as usual. you don’t necessarily remember either. heaven and earth and hell become one. you have become other people. Before Jason died, I was one of those people who felt like the death of a child was something that happened to “other people.” Tragedy happened to “other people.” I was like a teenager marching through life, feeling invincible. I prayed for my family. I was sure beyond a doubt that God heard my prayers and would protect my family. Terrible tragedies happened to people in other places; great tragedy would never touch me or happen to me. But it did. My child died. And it made me feel so incredibly vulnerable. I was not protected from tragedy. I was not immune. We were ordinary people, doing ordinary things, living our ordinary daily lives. I became “that person” whose child died. Jason was taken from us by the actions of someone else, a drunk driver. I felt like someone ripped my entire chest open, leaving my most inner self bare, raw, and exposed to unbelievable grief and pain. 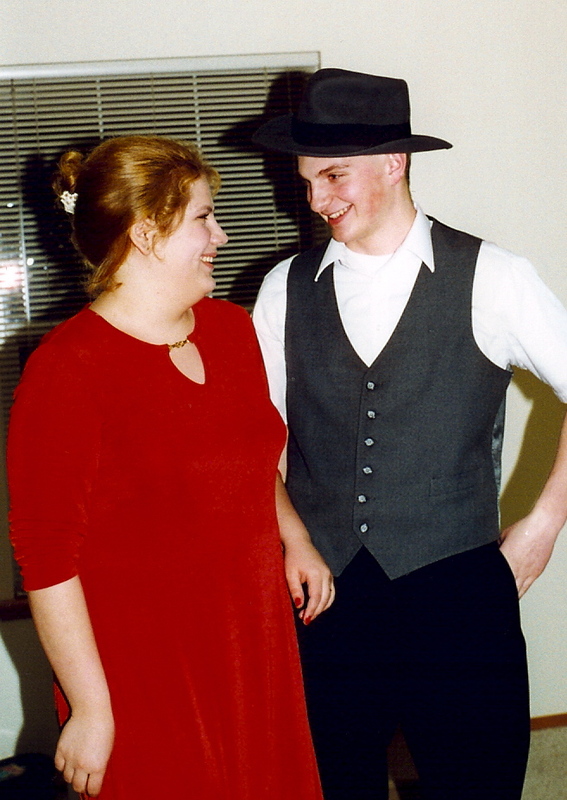 I became “that person” who no longer was thought of as “Becky.” I became the “mother of Jason, the young man who died in the car accident.” People would whisper to each other about me, point me out to each other. People would avoid me, look right through me as if they didn’t see me. I became a grieving mess, a lonely pariah who struggled to get through the day. I was touched by tragedy, changed by the death of my child. I had to learn to “find a new normal,” find a way to weave Jason’s loss into my life, find a way to learn to walk again without Jason in this life. My life became divided into “before” and “after” by that stark moment of vulnerability when Jason died. Those people in Boston were ordinary people experiencing a wonderful slice of Americana at the iconic Boston Marathon. In a split second of vulnerability, the security that tragedy happens to “someone else” was taken from them; it was robbed from them by a terrorist’s actions. They are now people whose lives are affected by this tragedy forever, and they will never be the same. Their lives will be divided in so many ways into “before” and “after” by that stark moment of vulnerability when that bomb went off, when some lost dear family members, when some lost limbs and will have to learn to walk again in a new manner, when some witnessed a horrific scene of human suffering that will forever be burned into their memories. It all happened to ordinary people in one split moment of vulnerability. And when something like the bomb blasts in Boston or some other tragedy happens, it touches a nerve deep inside me and I feel incredibly vulnerable all over again. It makes me feel anxious and restless, almost the the point of being panic-y. Because, as a parent whose child has died, I know all too well that it can be just one split moment in time from MY child is alive and well…to the moment when tragedy has happened and MY child is gone. There’s no going back, no way to change what’s happened. 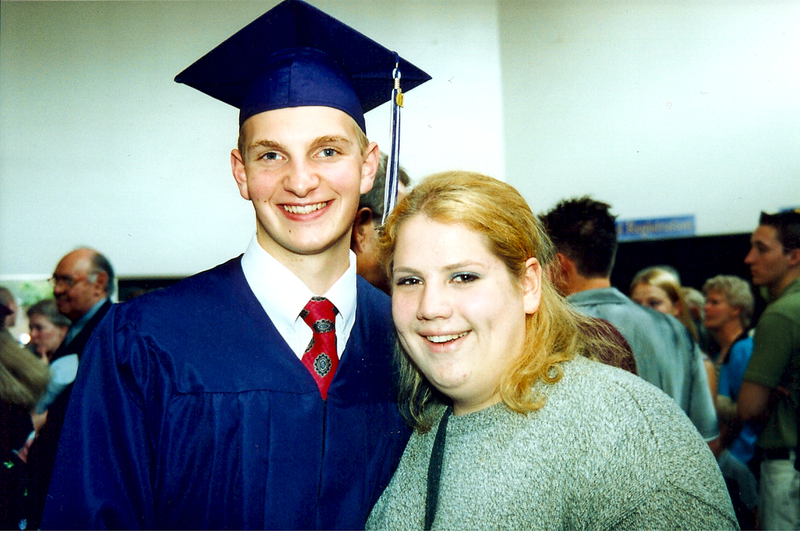 Jason died when he was broadsided by a drunk driver who was going more than twice the speed limit. Three people died in Boston at the hands of a terrorist. Beautiful, innocent children died in Newtown. People died in an explosion in Texas. As much as we’d like to think we are immune from tragedy, we really aren’t. I wish we could be, but we’re not. As long as we live in an imperfect world, we are not immune from the possibility of becoming that “other person” that has been touched by tragedy. And that’s why I felt so vulnerable – all over again – when I heard of the Boston tragedy. Perhaps we can use this as a reminder of how fleeting life can be and encourage ourselves to really take time to extend comfort, love, and kindness to those within our sphere of influence – our family, our friends, our co-workers, our neighbors, our acquaintances. Listen to those little “nudges” that seem to come from inside of you, telling you to take time to do something special for someone. We never know when those moments may be gone forever. I have a tattoo on my foot. I’m sure it seems totally out of character for those who know me, for someone “my age” and conservative background. When I got it, it sure was a big surprise to people I knew at the time (including my husband!)! It’s not a tattoo that I got when I was young or one I got spur of the moment on a whim. I went with my daughter after Jason died when she wanted to get a tattoo in memory of her brother, and I got one at the same time. We’d been talking about it off and on since Jason’s death, and I had in mind exactly what I wanted. 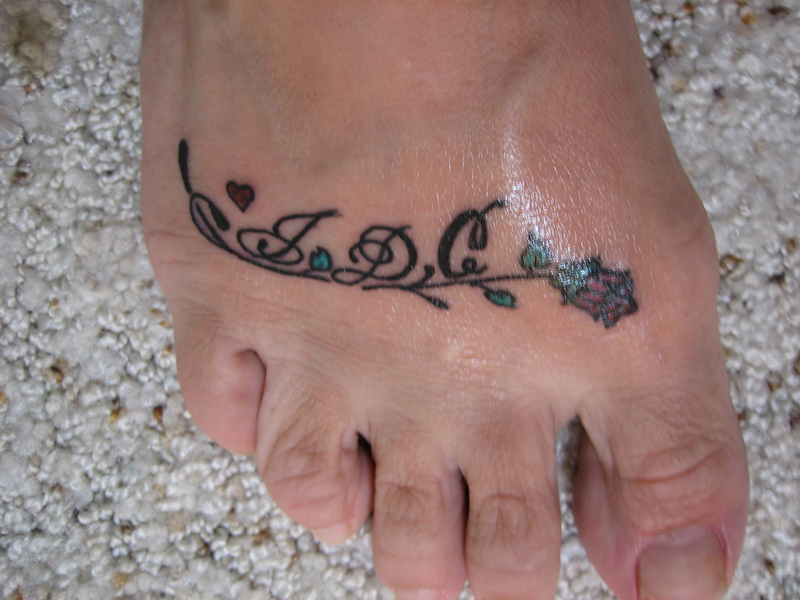 It’s a tattoo of a red rose, a heart, and Jason’s initials. 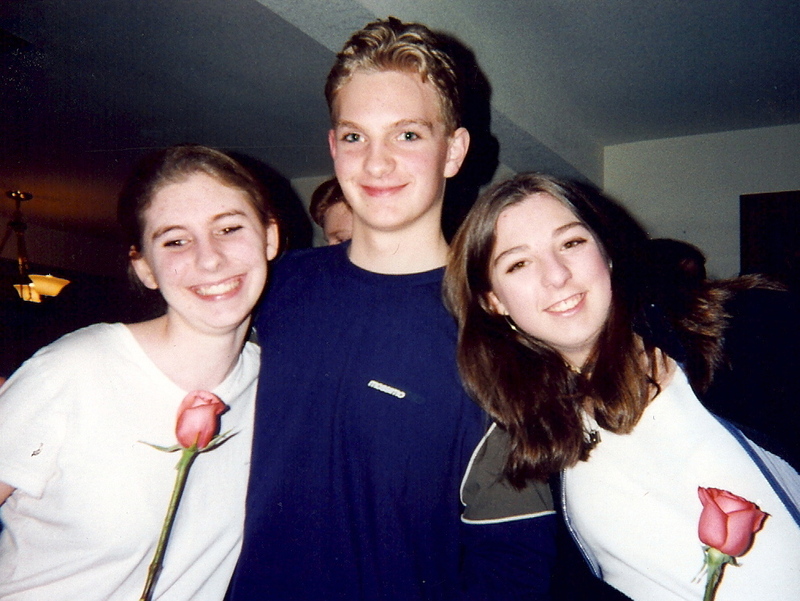 Jason loved to give roses to people he cared about, he had a huge loving heart, and it seemed very fitting. Very few people ask me about it, if they notice it at all. I did, however, have someone remark in surprise when she noticed it recently. She went on to ask questions about it, and I simply said it was in memory of our son. To her credit, she didn’t shy away, but asked me what happened and told me how sorry she was. I showed her a picture of Jason, and she told me her husband had passed away the year before. I appreciated her taking the time to ask and to talk to me about it. However, she then kept adamantly insisting over and over that “they were in a better place,” that “God was in control and had a perfect plan,” that “all of this was part of God’s perfect will.” When I didn’t respond in agreement (as she obviously thought I would), she adamantly insisted the same things all over again. I’m sure she was well-meaning, but it just wasn’t something I really wanted to hear right then. With the anniversary of Jason’s death right around the corner, I felt like my emotions were very near the surface. I steered the conversation away to something else. 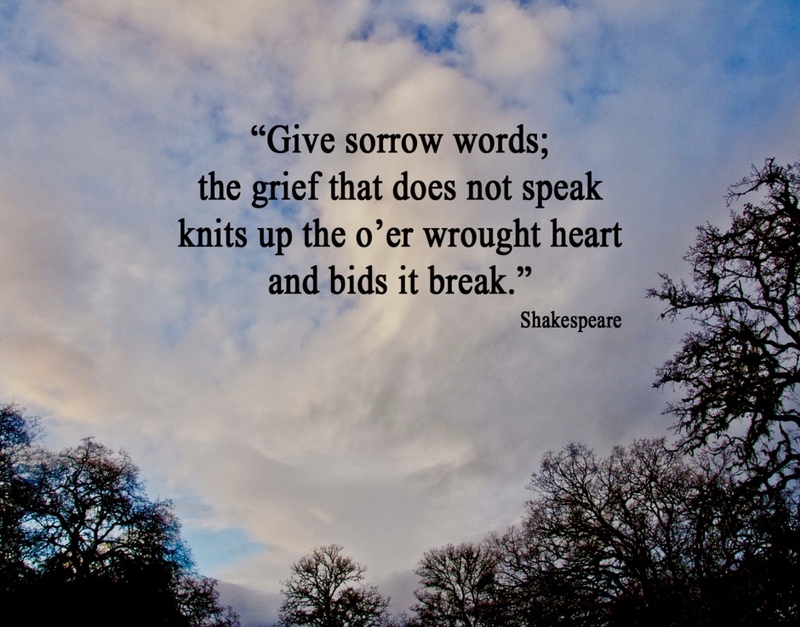 When is it appropriate to insist to a bereaved parent that it’s God’s perfect will that his or her child died? Never. Never, ever, ever. I’m of the opinion that a person shouldn’t tell a bereaved parent that it was God’s perfect will that his or her child died, and I don’t think it’s ever okay to adamantly insist such a thing. Whatever a bereaved parent’s religious point of view or conviction of God’s part in the whole event may be, it’s probably better to say nothing along this line than to step on a bereaved parent’s toes. Believe me, a bereaved parent has enough to deal with! Unless one has walked in the other person’s exact same shoes – and, if you think about it, those shoes are “made for walking” by only one person because of each of our own unique situations and personalities – it’s better not to make any assumptions. One person doesn’t know where the other person is coming from or how such comments will be received or interpreted. For me, personally, it’s never been a comfort to me for someone to tell that Jason’s death and the situation surrounding Jason’s death was God’s will – like Jason was supposed to die that day afer being broadsided by a drunk driver, that my family and I were supposed to have to walk this long road of grief, that we were supposed to be left alone by nearly everyone we knew, that we were supposed to learn to live a life without Jason, that it was absolutely God’s will for Jason to die as he did and when he did. Was it God’s perfect will for Jason to die that day? I don’t know, but I’ve always thought Jason had more things he was supposed to do here on earth during his lifetime. I can’t even begin to imagine Jason taking the brunt of a car going nearly 80 miles an hour. Was that God’s will? Jason was one of the “good guys” – kind, intelligent, funny, compassionate, Godly, on and on. It’s hard for me to think about Jason’s death on that awful day in terms of God’s perfect will. It doesn’t offer a lot comfort to try to encourage me that he’s in a better place. I know he’s in a better place. I’m glad he’s not experiencing pain or sorrow. I know I will see him again some day in that better place. But that doesn’t change the fact that I have the right to grieve his loss or that I have the right to miss him so greatly in this present life. It doesn’t change the fact that the life I expected to live and the lives I hoped my children would live has changed beyond comprehension. It doesn’t change the fact that I have had to learn (and am still learning) how to be this “me” in this “new normal.” It doesn’t change the fact that I have had to weave Jason’s loss into the fabric of my life, that it affects so much of the very person that I now am, and that his death has changed me. It doesn’t change the fact that I’ve had to re-examine what I believe in terms of God and what I thought I knew of him. One year, I wrote on the back of wallet-sized photos exactly what I was praying for my kids. I prayed for my kids. I prayed for their friends. I prayed for my family. 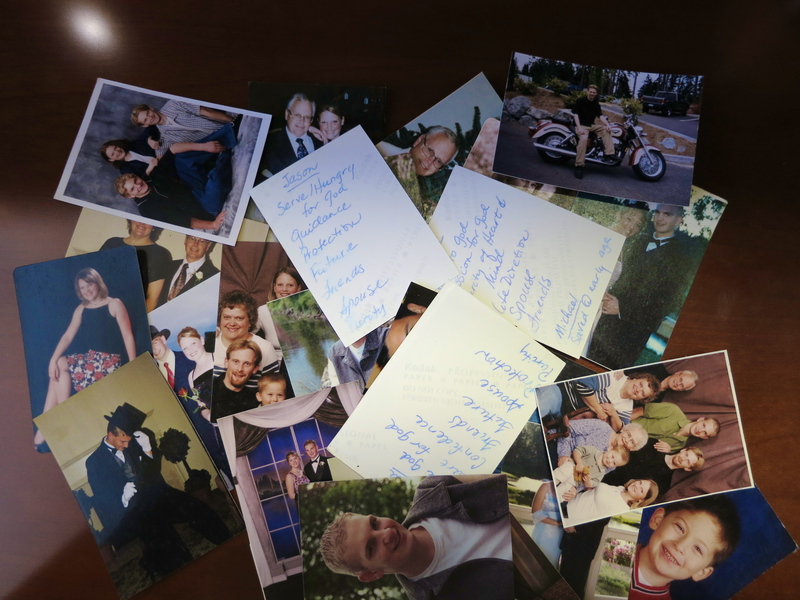 I carried those photos with me wherever I went as a reminder to pray for my kids; I still carry them with me to this day. I believed 100% that God heard my prayer and that he would protect my kids. I believed that God heard my prayers and that they “availed much.” I believed 100% that God had a wonderful plan for Jason’s life, that he had a wonderful spouse for him, that my husband and I would enjoy watching Jason marry and have children. But it didn’t happen that way. Jason died at the age of 19 after being hit by a drunk driver. I guess I’ve been trying to reconcile what I thought I knew about God and my new reality ever since then. I don’t claim to know the mind of God. How can I know the mind of God and know all his ways and why things happen the way they do? The Bible says his ways aren’t my ways. I don’t claim to know what his plans are or why he didn’t protect Jason from harm when I prayed and prayed and prayed for all of my kids and for their protection from harm. I have a lot of questions I would like to have answered someday when I am face to face with God. There is no sin in having questions. There is no sin in wrestling with God on things we don’t understand. The Bible says we see through a “glass darkly,” but someday we will understand. Right now, I feel like I am seeing through that dark glass. The Bible says that God is not willing that anyone should perish without knowing him. Do people perish without knowing God? I would say yes, they do. Is it God’s will that they perish without knowing him? I would say, no, it’s not. If it’s God’s perfect will that people don’t perish without knowing him, then why do they? There could be lots of reasons why things happen the way they do. I don’t have to know all the answers now – like why people perish without knowing him or why Jason died. I do know that God knows me as I am, and he knows my heart. He knows my struggles and my questions. It’s no secret that I have struggled some in my faith since Jason died. It doesn’t mean that I don’t believe in God or that my faith in him is gone. It just means that my faith doesn’t look the same as it once did. It just means that I have questions and there are so many things I don’t understand. It just means that I am less doggedly sure of what I believed about God and what thought I knew about what God’s plans for my life were and those of my family. It just means that I don’t know why God didn’t protect our precious boy or why we had to live these years without him. It also means I really don’t want to hear someone insist to me that it was God’s will for Jason to die. I know people are well-meaning. I know they don’t know what to say. It’s easier to think that bereaved parents who believe in God should just accept that it God’s will for their child to die than to question why a child died and why God didn’t protect that child. It’s easier to think that bereaved parents who believe in God should respond as Horatio G. Spafford, the author of the hymn “It is Well With My Soul,” following the death of his children. (Sometimes it feels like the Horatio Spafford model is what is expected of bereaved parents, and that we are supposed to have no or little grief or soldier bravely on by singing that “all is well” with us in spite of the fact that our child died.) It’s easier to think that there is a greater purpose when a tragedy strikes than to recognize that it’s really hard work to integrate the loss of a child into life. After Jason died, I looked and looked and prayed and prayed for a greater purpose and that his life and death would be for nothing. I just don’t have a lot of answers any more, but I don’t think I will ever be convinced that it was God’s perfect will that Jason die on that day. I don’t know why Jason died on that day; I just know that he died and I miss him so much.